Anthony and Rosemary are two introverted misfits. Anthony has spent his entire life on a cattle farm in rural Ireland, oblivious to the longing of his neighbor Rosemary, who hopelessly pines for him as the years slip away. With Anthony’s father threatening to disinherit him and a land feud simmering between the families, Rosemary fears romantic catastrophe. These two eccentric souls scramble their way towards happiness in a compassionate, delightful tale of how surprising love can be. 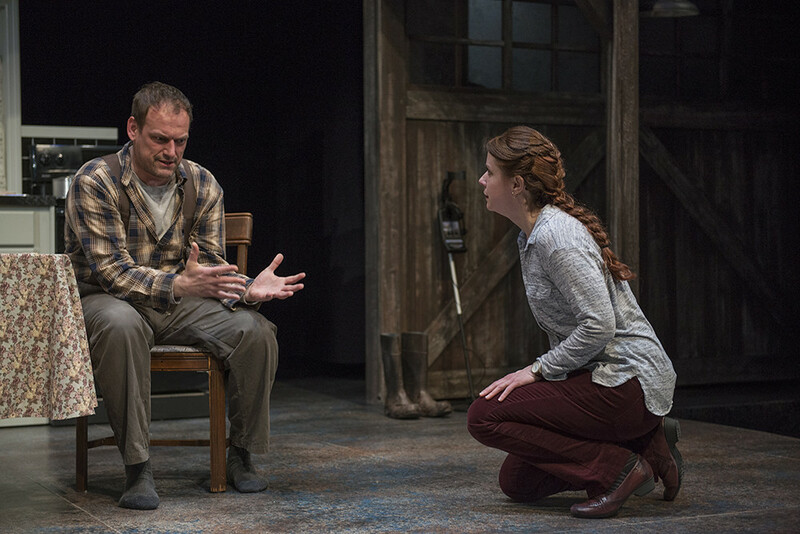 Outside Mullingar, a recent play by John Patrick Shanley (Doubt) and the newest attraction from the Northlight Theatre in Skokie, starts out in a manner familiar to anyone with affection for dramas set in rural Ireland, suggesting a comfortable and comforting St. Patrick’s Day attraction with very few surprises. We’re in a rustic kitchen – designed by Kevin Depinet – drinking tea. There is talk of death and familial dissent, of long-simmering resentments, of fathers disappointed in sons, of battles over the verdant land of County Westmeath and who deserves its riches. There is rural melancholy, cut with mordent wit. 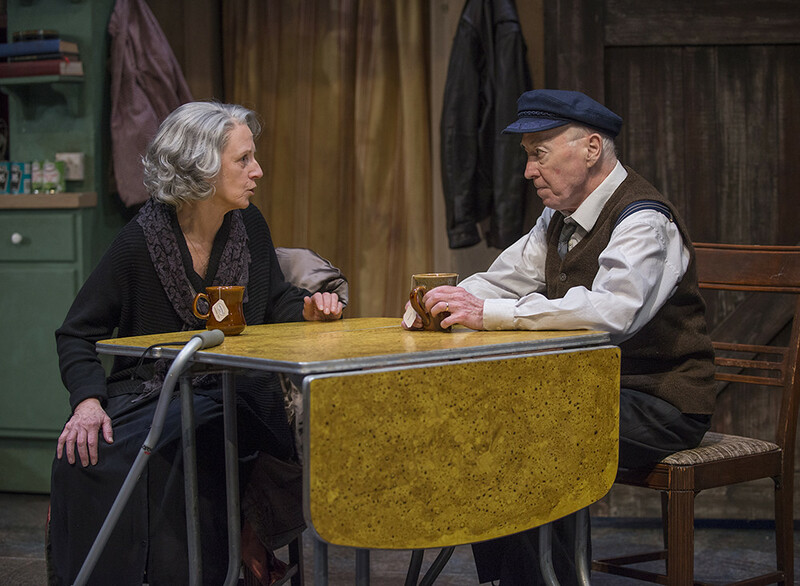 The veteran actors on the Northlight stage, Annabel Armour and William J. Norris, could play their droll, droll characters in their sleep. 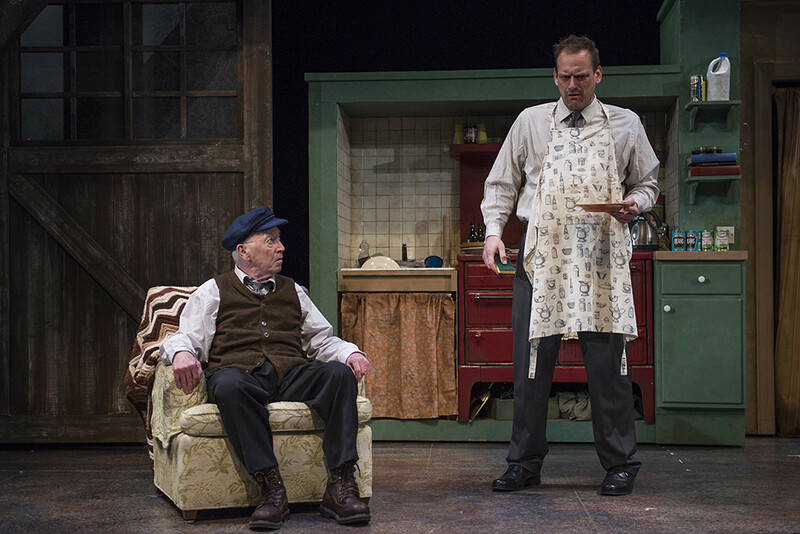 Mark Montgomery, who plays Anthony Reilly, a 42-year-old man who has never quite gotten out of his village or away from his da, is also very much in his wheelhouse. And BJ Jones’ gently unfolding production feels a lot like a beloved sweater that can be pulled on to assuage the March winds. 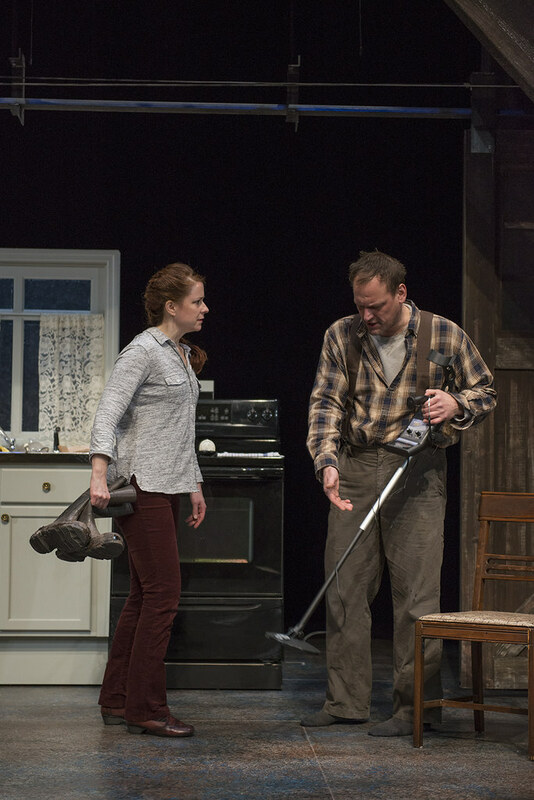 Once Fry shows up as Rosemary Muldoon – a woman who seems to be consumed by resentments but is, in fact, broiling with love for Anthony, it is a like a hurricane has hit Outside Mullingar. By sheer force of authentic will, and through her innate grasp of how life-and-death stakes are crucial to even the most bucolic and predictable of romantic dramas, Fry grabs this show by the scruff of its scraggly neck and drags it outside for a battle royal. Her intensity is so palpable, her longings so intense, she raises the game of everyone in the cast – so that, by the end, it seems like Montgomery, who looks like he does not know what has hit him, has stared into the depths of Anthony’s lonely soul and, by necessity, his own. 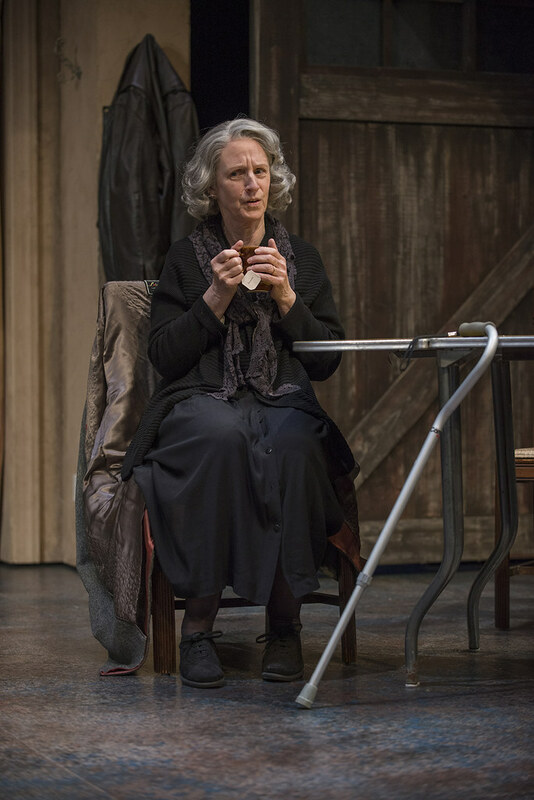 Fry, who is very selective in what she does and does not do, has quite the body of distinguished work in Chicago theater, but this performance is right up there with her best. 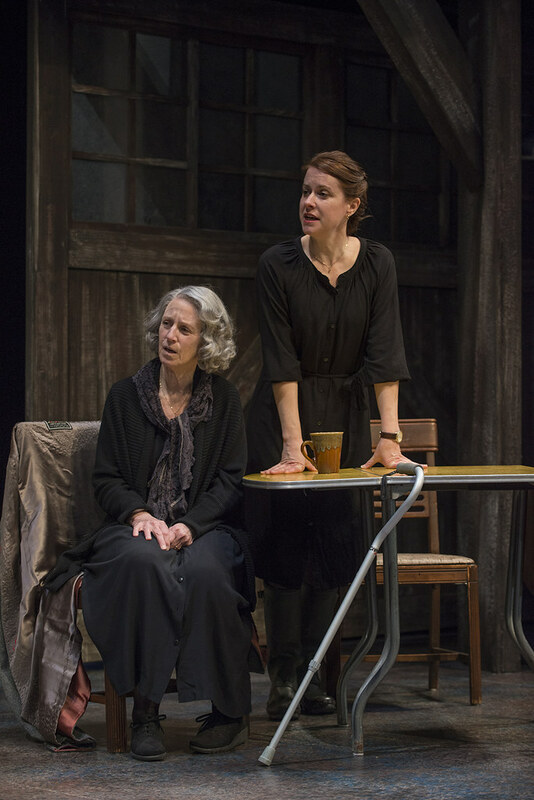 The very first word uttered in Outside Mullingar, John Patrick Shanley’s great beauty of a play about love and longing, parents and children, and the prickly nature of real estate, is the exclamation, “Jesus,” as it can sound only when spoken with a full-out Irish accent and years of frustration behind it. You can take the exclamation as an indication that this masterful tale of thwarted possession – whether of hearts, of land or of self – will finally have some resolution. But it is the getting there that drives this 90-minute wonder of a play, a play far more comic than tragic as it spins around what might just be one of the loopiest and most contentious courtships since that of Beatrice and Benedick in Shakespeare’s Much Ado about Nothing. 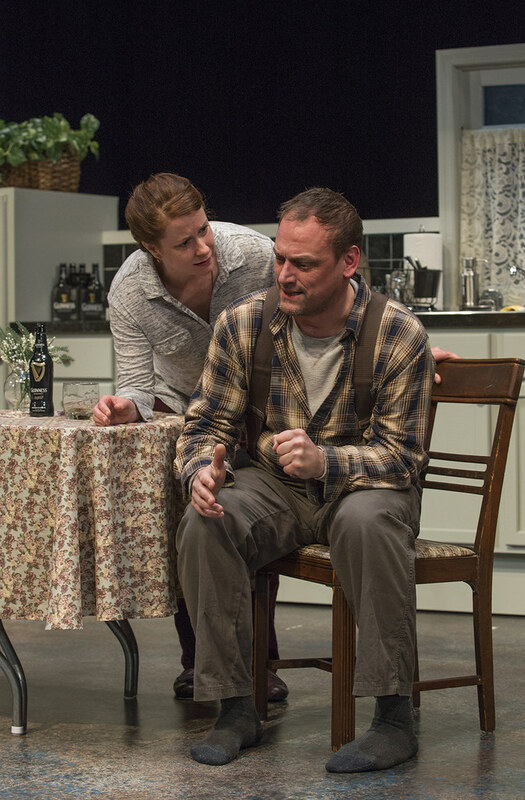 John Patrick Shanley’s Outside Mullingar is rarely less than engrossing. Both a romance and a meditation on death, legacy, and the deep pain that results when dreams are stymied for decades, Outside Mullingar is lyrically rich and marvelously acted. 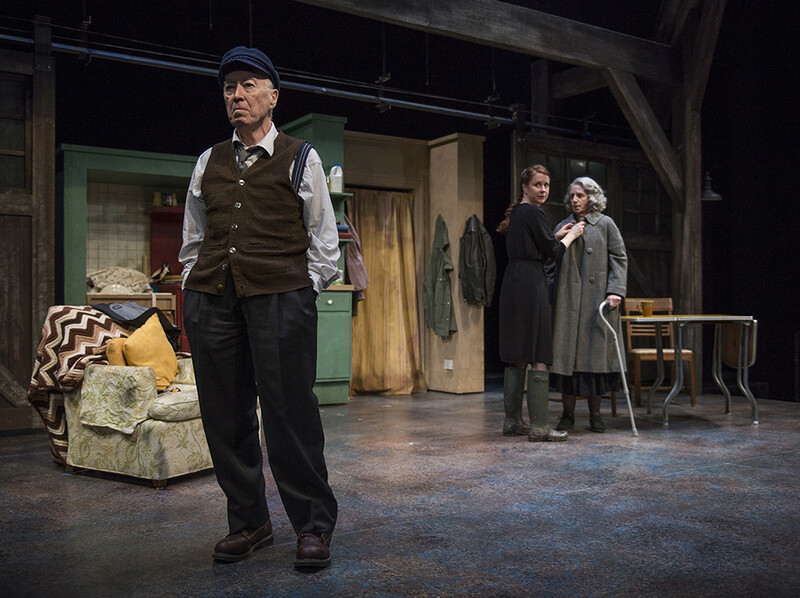 Director BJ Jones has assembled a top-tier quartet for Shanley’s gently moving and deeply emotional drama … What makes the piece work so well are the performances Jones gets from his marvelous cast. Montgomery wears the primal pain of a wounded animal on his face, even in the more lighthearted moments. Fry’s Rosemary is similarly broken, but never without a core of fiery optimism that allows her to take charge of her life at its lowest point. Armour brings a gentle but steely grace to the aging Aoife, while Norris is a textbook curmudgeon. Outside Mullingar is compelling from start to finish. It’s sweet, sad and bracingly unsentimental. Shanley finds poetry and profundity in dirt and rain and fractured families and that poetry is simply gorgeous. Best known as the writer of Moonstruck and Doubt, John Patrick Shanley strums a heartfelt chord with Outside Mullingar. 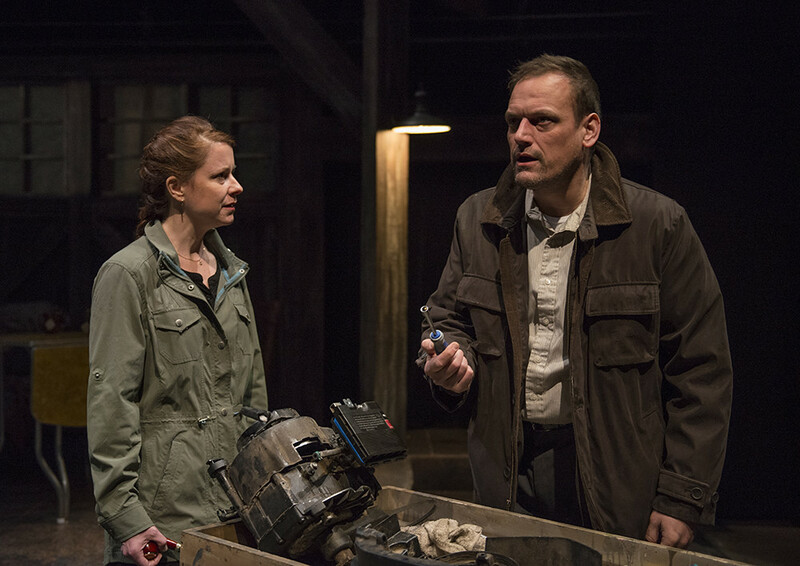 With this production, Northlight Theatre provides the acting chops and the intimacy for a truly wonder-filled performance. John Patrick Shanley has run the gamut of thought-provoking and touching performance writing, leading to Tony, Oscar, and Pulitzer awards. He has, until recently, avoided writing about his Irish heritage, but something drew him back – just as the characters in Outside Mullingar are drawn back to the land and to one another. A series of sharply insightful but altogether human scenes between two Irish families brings the younger generation to an appreciation of one another and of life, despite farm life’s caging qualities. In the best way, the script of Mullingar reminds us that it is okay to be small-town, to avoid the crowd, to be yourself, and to appreciate the little things. This funny and genuine script by Shanley is a piece to see now, especially because Shanley is working on the screenplay adaptation. That’s because Outside Mullingar doesn’t carry the same dramatic weight as Shanley’s 2005 drama Doubt, which won multiple theater awards and still holds sway as a modern American classic. It’s more fair to compare the Tony-nominated Outside Mullingar with Shanley’s Academy Award-winning 1987 screenplay for Moonstruck. 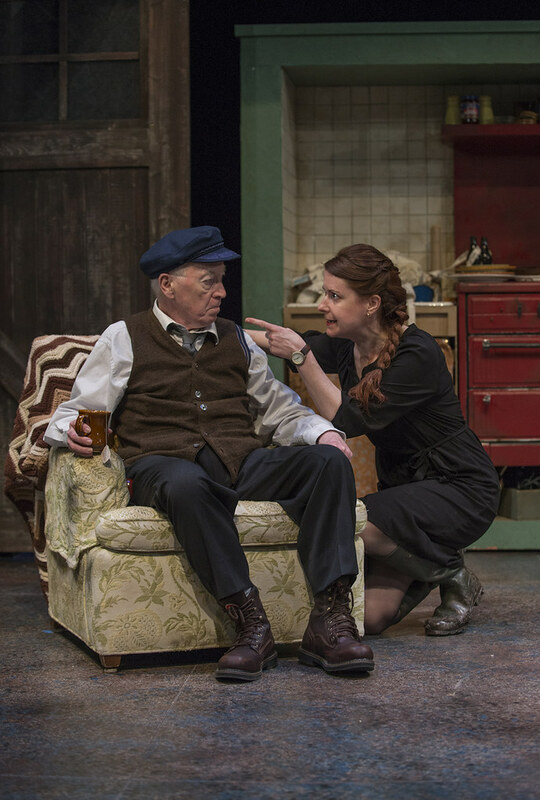 Taken on these terms, Outside Mullingar emerges as a richly rewarding comedy to explore long-standing neighborly grudges and long-delayed love among quirky and superstitious Irish farmers. Shanley’s comedy abounds in snappy dialogue and pained comic situations. But Outside Mullingar also achieves an emotional depth, wistfully looking at unrequited love and parental disappointments. 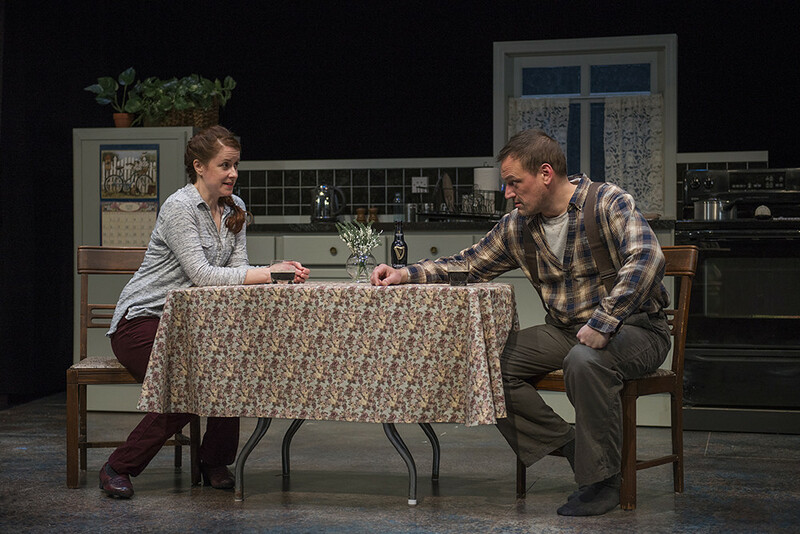 Outside Mullingar: Kate Fry and Mark L. Montgomery star as oddball middle-aged neighbors in rural Ireland, stumbling their way toward a late chance at love in John Patrick Shanley’s gentle 2014 dramedy. Northlight artistic director BJ Jones stages the Chicago premiere. 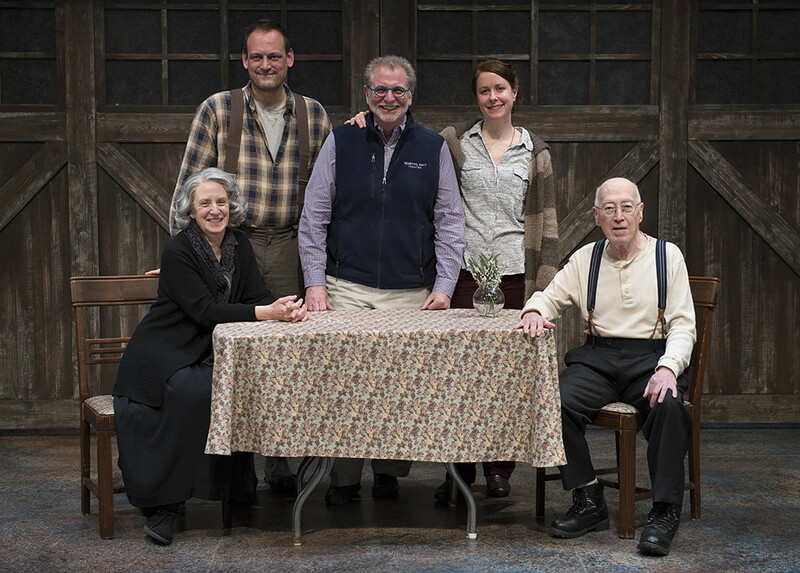 Outside Mullingar, Northlight Theatre at the North Shore Center for the Performing Arts, March 13-April 19—Veteran U.S. playwright John Patrick Shanley scored a Tony Award nomination for this play in 2014, and he’s quite the storyteller. This one, set in rural Ireland, offers a long-delayed and maybe-misguided romance between two neighbors whose families just may be planning a feud. 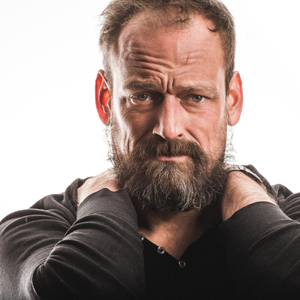 Northlight artistic director BJ Jones will direct, and he knows his stuff. 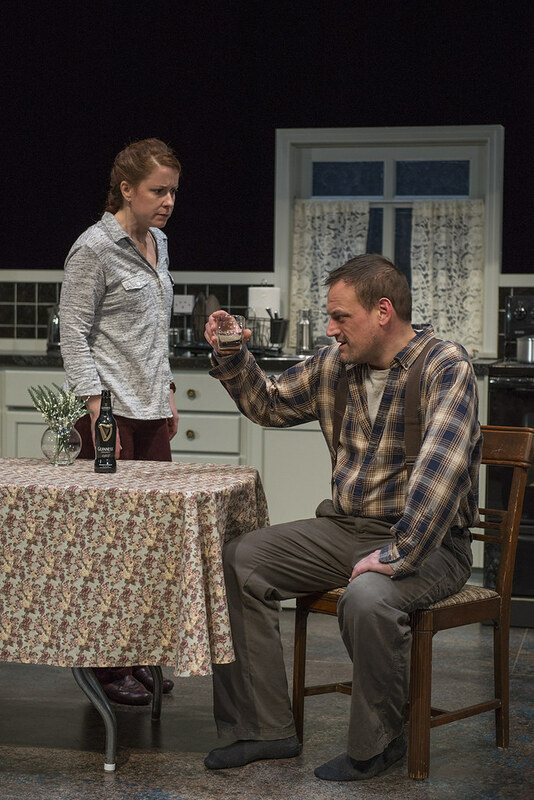 “Outside Mullingar” (March 13-April 19): Northlight Theatre artistic director BJ Jones stages John Patrick Shanley’s comedy-drama about two introverted Irish misfits who lean toward love and happiness despite the possible land feud simmering between their families. 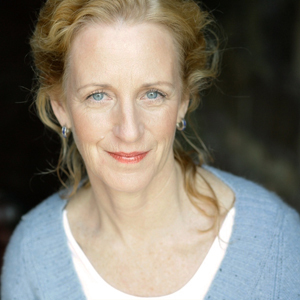 As an Artistic Associate with Remy Bumppo: The Clean House, Northanger Abbey, Seascape, The Goat or, Who is Sylvia (Jeff Award), Mrs. Warren’s Profession, Power, A Delicate Balance, Top Girls andHapgood. Other favorites include: Cabaret (Marriott Lincolnshire/Jeff nomination), Clybourne Park (Asolo Rep), At Home at the Zoo (Victory Gardens/Jeff Nomination), Picnic (Writers), Pride and Prejudice (Cleveland Playhouse), Sunday in the Park with George (Chicago Shakespeare), Long Day’s Journey into Night (Irish Rep & the Galway Arts Festival), Before My Eyes (Victory Gardens), Angels in America I & II (Journeymen/Jeff Award), Grapes of Wrath (Ford’s Theatre D.C,) andFirst Look Repertory of New Work (Steppenwolf). Film credits include: Amityville Horror, Conviction and Contagion. 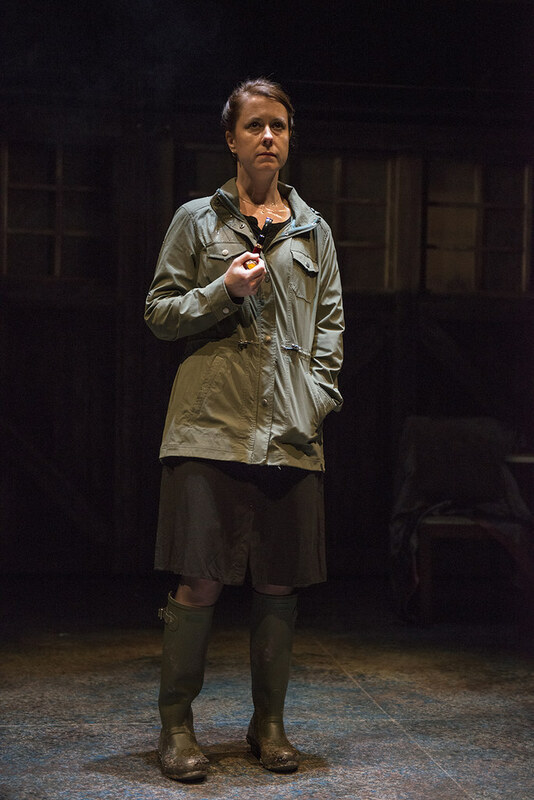 Annabel is the recipient of three Joseph Jefferson Awards and two After Dark Awards. William has appeared in nearly 200 productions over 44 years at Northlight, Goodman, Victory Gardens, Steppenwolf, Chicago Shakespeare, Marriott Lincolnshire, Meadowbrook, Syracuse Stage, Indiana Repertory and various locations in Europe. Dillinger, His Satanic Majesty and Before I Wake are a few of his plays which have premiered in Chicago and gone on to be produced nationwide. Television and movie credits include A Taste of Romance, The Untouchables, The Babe, The Letter, The Pit and the Pendulum and The Last Affair. Most recently he can be seen in the short film Restoration. Mr. Norris is also the co-screenwriter of the cult classic Herbert West: Re-Animator as well as the co-author of the award-winning musical of the same name. He has been honored in his profession for his work as actor, director and writer with awards that include an Emmy, a Joseph Jefferson, five Artisan and an L.A. Critics Circle Awards. John Patrick Shanley has had his theatrical work performed extensively across the United States and around the world. For his play Doubt, he received both the Tony Award and the Pulitzer Prize. In the arena of screenwriting, he has nine films to his credit, most recently Doubt with Meryl Streep, Philip Seymour Hoffman, Viola Davis and Amy Adams, which was nominated for five Academy Awards including Best Adapted Screenplay. The film of Doubt was also directed by Mr. Shanley. Other films include Five Corners (Special Jury Prize, Barcelona Film Festival), Alive, Joe Versus the Volcano (which he also directed) and “Live from Baghdad” for HBO (Emmy nomination). For his script of Moonstruck he received both the Writers Guild of America Award and an Academy Award for Best Original Screenplay. 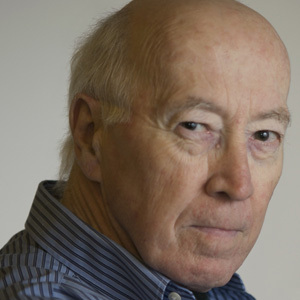 The Writers Guild of America awarded Mr. Shanley the 2009 Lifetime Achievement in Writing. He is grateful for his good fortune, most especially for the benefactions of his mother and father. Kevin is delighted to be working at Northlight for his first time. Other credits include productions with Steppenwolf, Goodman, Chicago Shakespeare, Court, Victory Gardens, Writers, Drury Lane Oakbrook, Paramount and Chicago Children’s Theatre. Broadway credits include associate designer for August: Osage County, The Motherf**ker with the Hat and Of Mice and Men. 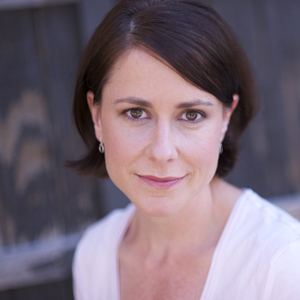 Regional credits include productions with American Players, McCarter, Arden, Milwaukee Repertory, Yale Repertory, Denver Theatre Center, Saint Louis Repertory, Cincinnati Playhouse in the Park, Brooklyn Academy of Music and the Mark Taper Forum. Film credits include scenery for Michael Mann’s Public Enemies. He has designed for the National Theatre of Great Britain in London, Discovery Channel and Disney. Kevin studied at Ball State University and the Yale School of Drama. He currently serves as an adjunct professor of design at DePaul University.